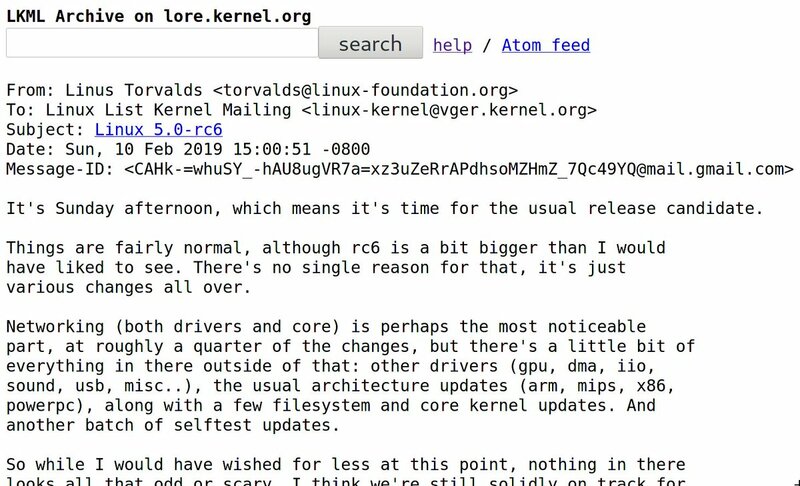 "[…] Things are fairly normal, although rc6 is a bit bigger than I would have liked to see. […] nothing in there looks all that odd or scary. I think we're still solidly on track for a normal release. Linus"